On Wednesday, AEI hosted a panel of distinguished dignitaries and policy experts to discuss whether the UK’s decision to exit the EU would be consequential to the UK, Europe, and the broader global economy. The event occurred concurrently with debates in the House of Commons on the issue. AEI’s Desmond Lachman started the event with a brief summary of current negotiations and possible contingencies of decisions made by Parliament. Her Majesty’s Trade Commissioner for North America Anthony Philipson discussed the constitutional and political challenges posed by Brexit, the threat to democratic principles, and the significance of Brexit for US-UK relations (particularly for investors). Amb. Daniel Mulhall discussed the importance of Brexit in regards to Irish politics, migration, and enterprise. Adam Posen of the Peterson Institute for International Economics argued that Brexit does not matter much and relayed his dismay for the bigoted undertones driving much of the pro-Brexit votes. Amanda Sloat of the Brookings Institution discussed the presence of voter fatigue, which may be correlated with the high frequency and low efficacy of referenda in resolving political questions. AEI’s Desmond Lachman then discussed the economic consequences of Brexit. On March 29, 2019, the United Kingdom is scheduled to leave Europe — with or without a deal. This seminar will discuss how the United Kingdom got to this point and what is likely to happen next with Brexit. It will also examine the economic and political implications of Brexit for the United Kingdom, Europe, and the United States. Join the conversation on social media by following @AEI and @AEIecon on Twitter and Facebook. For more information, please contact Yisehak Abraham at [email protected], 202.862.5933. Freddy Gray, the deputy editor of The Spectator, is currently in America launching Spectator USA. He was formerly literary editor of The American Conservative and deputy editor of The Catholic Herald. Desmond Lachman joined AEI after serving as a managing director and chief emerging market economic strategist at Salomon Smith Barney. He previously served as deputy director in the International Monetary Fund’s (IMF) Policy Development and Review Department and was active in staff formulation of IMF policies. Mr. Lachman has written extensively on the global economic crisis, the US housing market bust, the US dollar, and the strains in the euro area. At AEI, he is focused on the global macroeconomy, global currency issues, and the multilateral lending agencies. Daniel Mulhall became Ireland’s 18th ambassador to the United States in August 2017. He has served as Ireland’s ambassador to Malaysia (2001–05) and Ireland’s ambassador to Germany (2009–13). Before coming to Washington, he served as Ireland’s ambassador in London (2013–17). Amb. Mulhall is the author of “A New Day Dawning: A Portrait of Ireland in 1900” (Collins Press, 1999) and coeditor of “The Shaping of Modern Ireland: A Centenary Assessment” (Irish Academic Press, 2016). He has made numerous contributions to books, newspapers, and journals published in Ireland, Australia, New Zealand, Germany, and Britain. Antony Phillipson was announced as Her Majesty’s trade commissioner for North America in February 2018. He became Her Majesty’s consul general in New York in November 2017. Mr. Phillipson joined the United Kingdom Civil Service in 1993 and has held a number of posts in Her Majesty’s Government. Previous roles include principal private secretary to the secretary of state for trade and industry; counsellor at the embassy in Washington; prime minister’s private secretary for foreign affairs; head of the Foreign and Commonwealth Office’s Iran coordination group; high commissioner to Singapore; director (EU external), European and Global Issues Secretariat, Cabinet Office; and director of trade and partnerships in the Department for Exiting the European Union. Mr. Phillipson has a degree in modern history from the University of Oxford. Adam Posen has been president of the Peterson Institute for International Economics since January 2013. During his presidency, the Peterson Institute has won global recognition as the leading independent think tank in international economics. 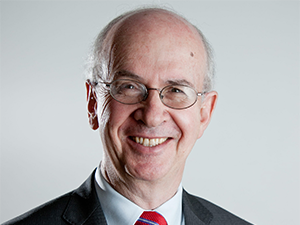 In September 2009, Dr. Posen was appointed by the UK chancellor of the exchequer to serve a three-year term as an external voting member of the Bank of England’s rate-setting Monetary Policy Committee. He also consulted for the UK Cabinet Office for the successful London G20 summit of 2009 during the global financial crisis. He was made an honorary commander of the Most Excellent Order of the British Empire by Her Majesty Queen Elizabeth II in 2014 for his services to British economic policy. He served seven terms as a member of the Panel of Economic Advisers to the US Congressional Budget Office from 2005 to 2019. Dr. Posen has been widely cited and published commentary in leading news and policy publications, including Financial Times, Foreign Affairs, The New York Times, The Wall Street Journal, The Washington Post, Nihon Keizai Shimbun, Asahi Shimbun, Handelsblatt, Die Welt, Harvard Business Review, and The International Economy. He appears frequently on Bloomberg television and radio, among other media programming. Amanda Sloat is a Robert Bosch Senior Fellow in the Center on the United States and Europe at the Brookings Institution. She is also a fellow with the Project on Europe and the Transatlantic Relationship at Harvard Kennedy School’s Belfer Center for Science and International Affairs. Dr. Sloat served in the US government for nearly a decade. She was most recently deputy assistant secretary for Southern Europe and Eastern Mediterranean affairs at the State Department. She also served as senior adviser to the White House coordinator for the Middle East, North Africa, and Gulf region and as senior adviser to the assistant secretary of state for European and Eurasian affairs. She previously worked as senior professional staff on the US House of Representatives Foreign Affairs Committee, with responsibility for European policy. She is the author of “Scotland in Europe: A Study of Multi-Level Governance” (Peter Lang Pub Inc., 2002). Before her government service, Dr. Sloat was a senior program officer with the National Democratic Institute, including work in Iraq with the Council of Representatives. She holds a doctorate in politics from the University of Edinburgh and a bachelor’s in political theory from James Madison College at Michigan State University. Are survey data still useful?